I told you, this Digital Marketing Stuff is driving me crazy!! But I am really enjoying the process. And you know why? Because I really, truly, for sure, absolutely, Deserve to live the life that I have co-created for a long, long period of time! Click on the image and start having fun! Chances are that you are ready, too!! You have nothing to lose and a lot to discover!! For me sometimes is really overwhelming (ok, most of the time!) but believe me, I am loving the process of living the experience of learning a proven Digital Marketing System, but most of all, of getting to know a great bunch of wonderful, uplifted, likeminded people who are taking care of me all the time! I Love being part of this community!! 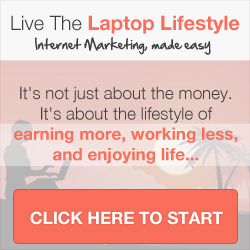 Start receiving 7 FREE videos that will show you how this works. It’s not magic, it’s a Proven Digital Marketing System that supports you and helps you all the way. You learn while you earn! Sounds great, right? But It’s not about the money. It’s about the lifestyle of your dreams! So stop making excuses: Life is waiting!